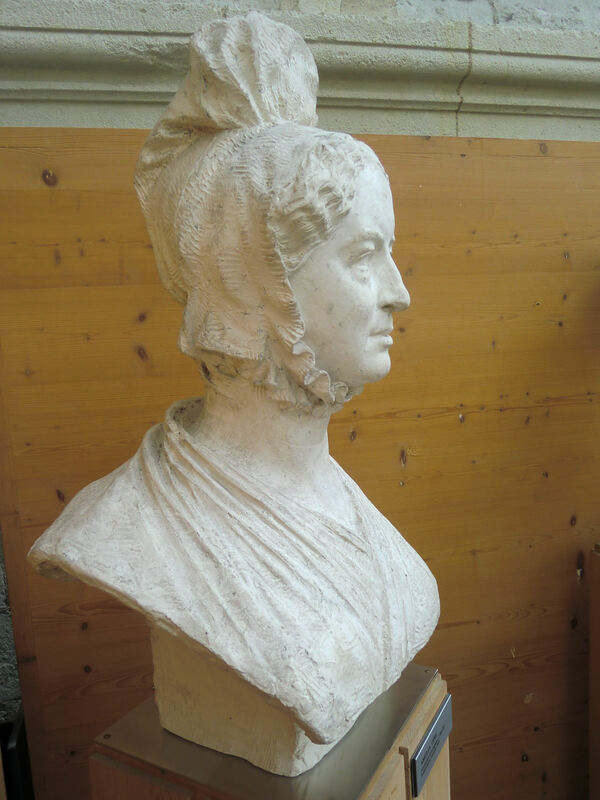 One of the most pleasing events during years of research for my biography Amelia Opie The Quaker Celebrity was when Norwich Castle Museum acquired the beautiful white marble bust of Amelia by the French sculptor David d’Angers in November 2008. It was purchased with generous grants from the Victoria & Albert Museum/MLA Purchase Fund, the Art Fund and the Friends of the Norwich Museums. The bust was not mentioned by Mrs.Opie’s first biographer Cecilia Lucy Brightwell (1854); later biographers in1933 and 1937 referred to it only briefly. When I started work on transcribing some of Amelia’s family letters, I was delighted to find her own account of the circumstances leading to the bust’s creation and its arrival at her home in Norwich. The relevant correspondence is in a collection of 364 Opie letters held in the Huntington Library, San Marino, California. After I had completed my research at the Huntington Library, I made the acquaintance of the owner of the Opie bust, Christopher Woods, a descendant of Amelia’s cousin Margaret Thompson (née Alderson), sister of Dr.James Alderson, to whom the bust had been bequeathed. This cousin James had given away his sister Margaret’s daughter Amabel, when she married. When the unmarried James died a few years later, Amabel’s husband bought the bust at an auction of James’ effects and it had remained in the family ever since. I felt privileged to view the bust at Christopher’s house and was delighted when he loaned it to Norwich Castle Museum for its 2007 exhibition marking the bicentenary of the abolition of the slave trade and featuring Amelia’s role in the anti-slavery movement. When he decided to sell it, he offered the bust to the museum. An appropriate ‘home-coming’ for one of Norwich’s most celebrated citizens. 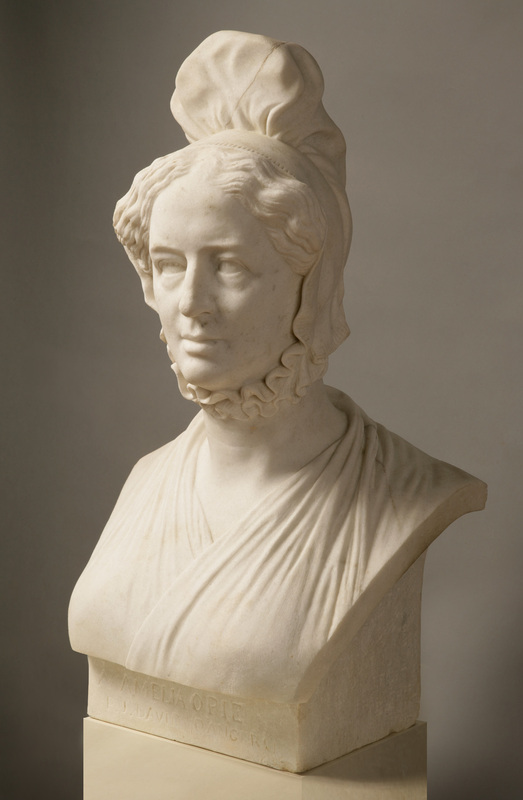 Footnote: In Angers, the sculptor’s birthplace, there is a Gallery of David d’Angers, which has on display a plaster bust, identified as ‘Amelia Opie. Femme de lettres anglaise (1769-1853). Buste offert au modèle, 1836’.